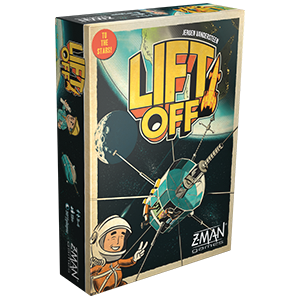 Order Lift Off at your local retailer or online through our website today! The cold evening air bites at your cheeks as you look up at the sky. The stars shine above you, teasing you with endless possibilities and questions. What mysteries are up there, just waiting to be discovered? After years of work and research, the rocket is finally ready. Everyone has their own goals for exploring the black abyss above you, but you’re determined to complete your mission first. You take one more glance at the stars before wandering back to the laboratory. There is still much to be done if you’re going to win the race to the stars. 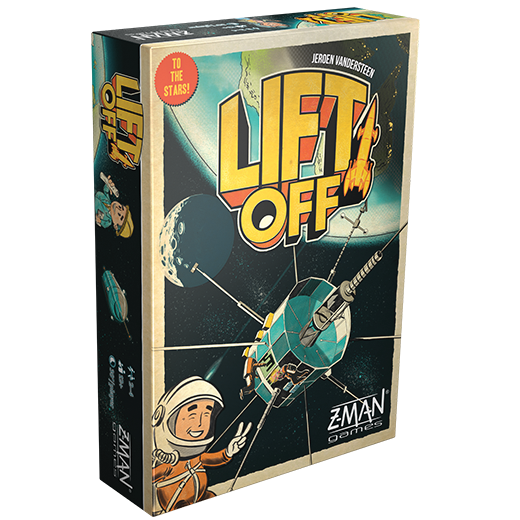 Pre-order your copy of Lift Off through our website or your local retailer today! 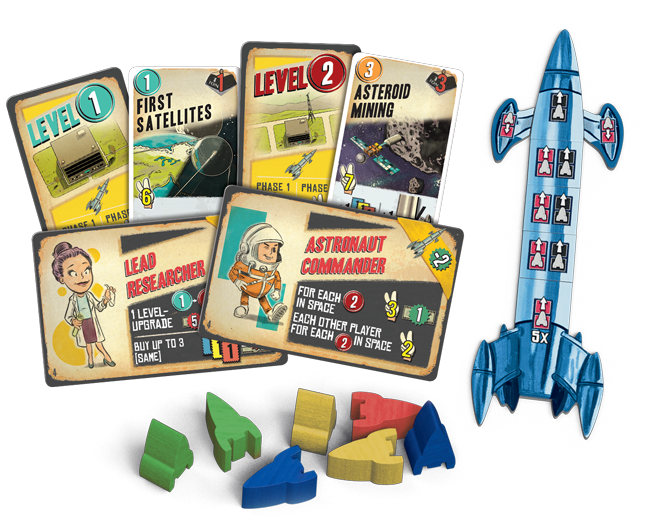 Lift Off will be $59.99 and release in spring 2019. Pre-order your copy today and prepare to explore the cosmos!